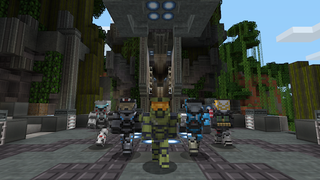 Further confirming the adage that if something exists, it will eventually be in Minecraft, here's a newly-announced Halo skin pack. It'll include a bunch of character skins and music tracks from Microsoft's sci-fi shooter series. More details to come.